Tom Blakey sitting at his volunteer post at The National WWII Museum. 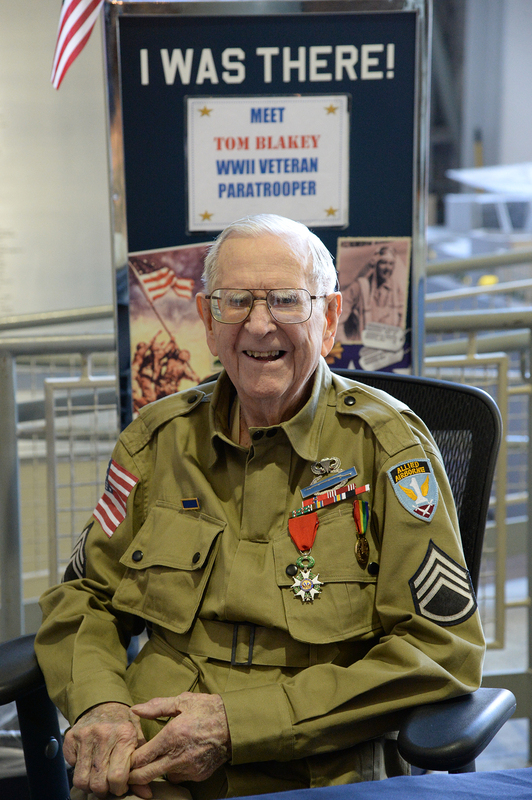 On Thursday, January 15, 2015, The National WWII Museum acknowledged a sad milestone in the death of the Museum’s legendary volunteer Thomas Blakey, a former U.S. Army paratrooper who fought in the European Theater. Blakey died at his home early Thursday morning. Blakey, a retired oil company executive, has long held status as the Museum’s No. 1 volunteer. He donated approximately 15,000 hours to the Museum since its opening in 2000, serving as a speaker and interpretive guide. He also is a favorite interview subject for national media organizations reporting on anniversaries of the D-Day invasion at Normandy, and was recently interviewed by Tom Brokaw in New Orleans and Normandy in conjunction with the 70th anniversary. He was also among recipients of the French Legion of Honor medal. Giving his status in the interpretation of WWII history, Blakey’s passing serves as a reminder of the rapid disappearance of the war generation. According to statistics from the Veterans Administration, the number of veterans from the war has dipped below 1 million, a small fraction of the 16 million Americans who served. The nation is losing these men and women and their memories at a rate of 492 a day. 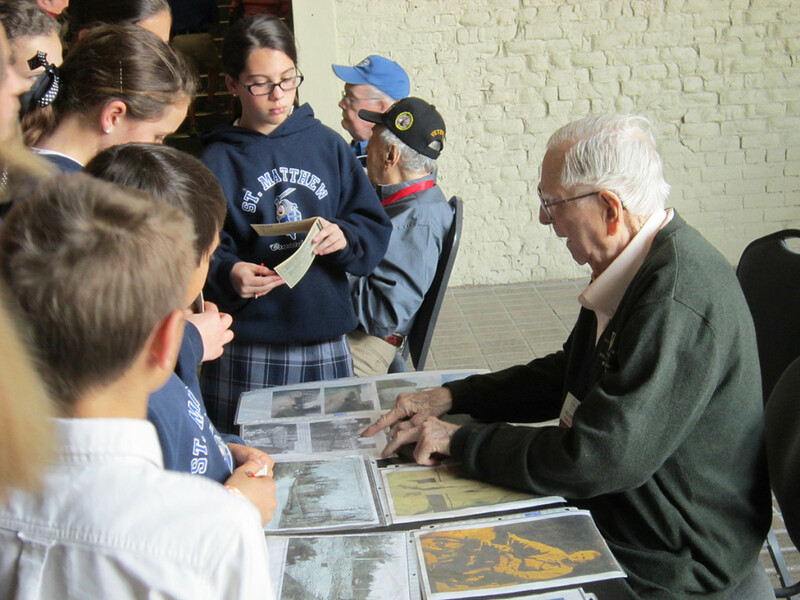 Blakey was a treasured presence at the Museum, as he typically greeted visitors in the Louisiana Pavilion each morning and shared details of his personal war story, including participation in the D-Day invasion, the Battle of the Bulge and other battles. 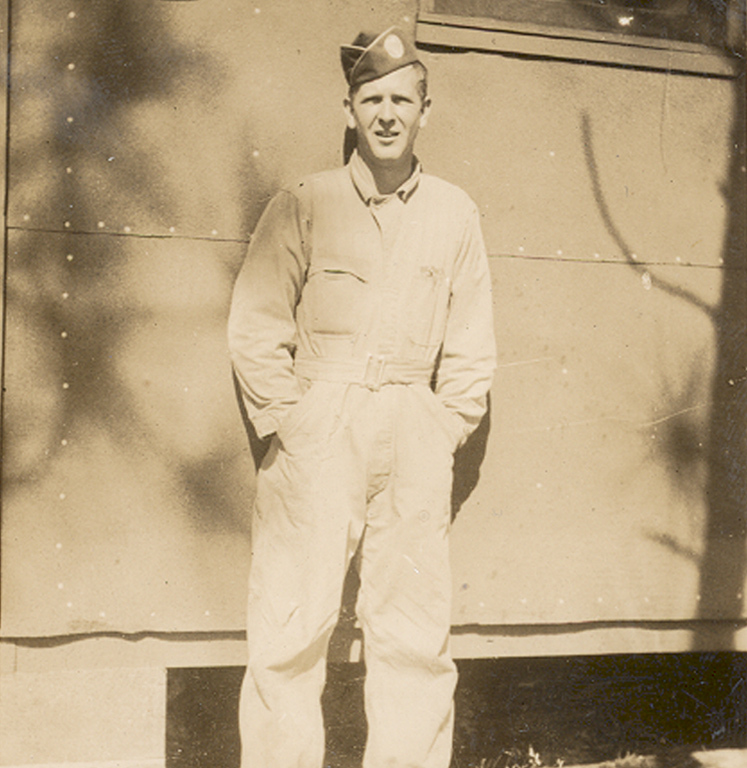 Blakey at Camp Mackall, North Caroline in 1943. 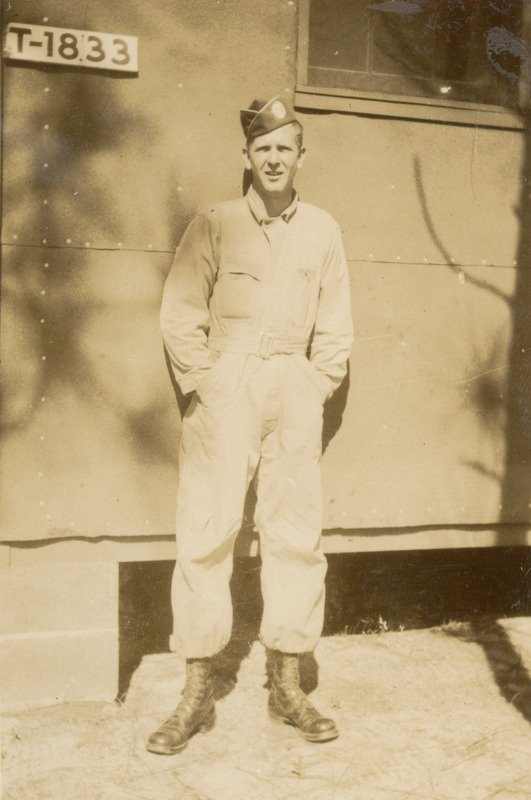 Image courtesy of the National Archives, from the collection of The National WWII Museum. Blakey walked through the doors of Museum, originally known as The National D-Day Museum, before it opened to the public in 2000. Of the more than 4 million visitors who have visited the Museum, many were fortunate enough to hear his story, shake his hand, take a photo and hear his thundering laugh. During the Bulge battle he was pulled off the front lines to serve as an aide to Lt. Gen. Lewis Brereton of the 1st Allied Airborne Army. After the war ended, he stayed in Paris as an aide to General Brereton. He often told stories of life in Paris after the end of the war and the many challenges civilians faced in rebuilding their lives. 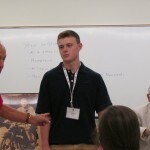 He was proud to have helped in any way he could and thrived in an environment where he could act as a problem-solver. Blakey returned to Normandy eight times after the war, most recently as part of a Museum trip commemorating the 70th anniversary of D-Day. With every trip, he said it would most likely be his last, but admitted that he would always want to return one more time. He said he felt at home there, close to Americans who fought and died during the invasion. And he had a deep love for the French people who always treated him with gratitude. Blakey posing with gifts of gratitude sent by CBS Sunday Morning viewers. Towards the end of his life, Tom revealed a secret he had lived with for nearly 70 years when he spoke to a group of recent war veterans. Tom had suffered severely from effects of PTSD, admitting that it had affected him and his personal relationships for decades. 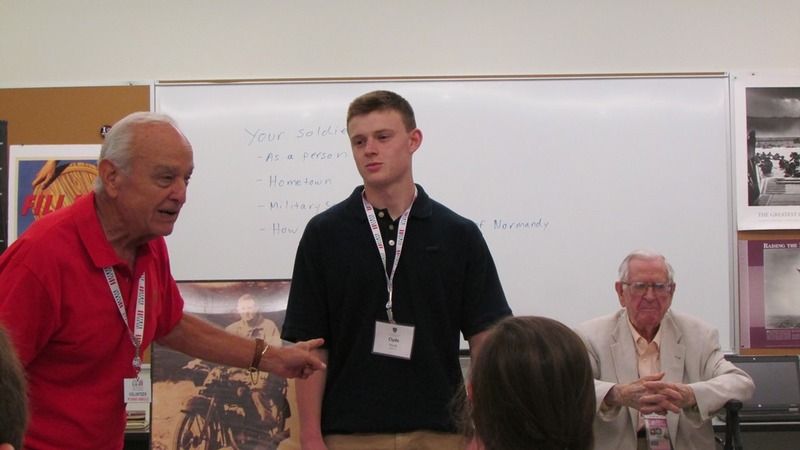 He felt it was important to share because he believed it might help these young men who were also dealing with the challenges of returning from combat. Soon after, he told his story on CBS Sunday Morning, along with how his work at the Museum had finally freed him. Even in his last moments, he was making plans to return to his volunteer post at the Museum. Blakey would often call the institution a “Museum of people.” The personal stories of everyday Americans mattered the most, he said. One of his greatest joys was explaining to younger visitors how a child’s toy, known as the “cricket,” played an important role in D-Day. U.S. troops would click the noisemaker, which sounded very much like the insect it was named for, in the darkness when they sensed someone was near. If they clicked back with the correct response, as Tom would say, “You knew you had a friend.” The Museum always had a devoted friend in Tom Blakey. 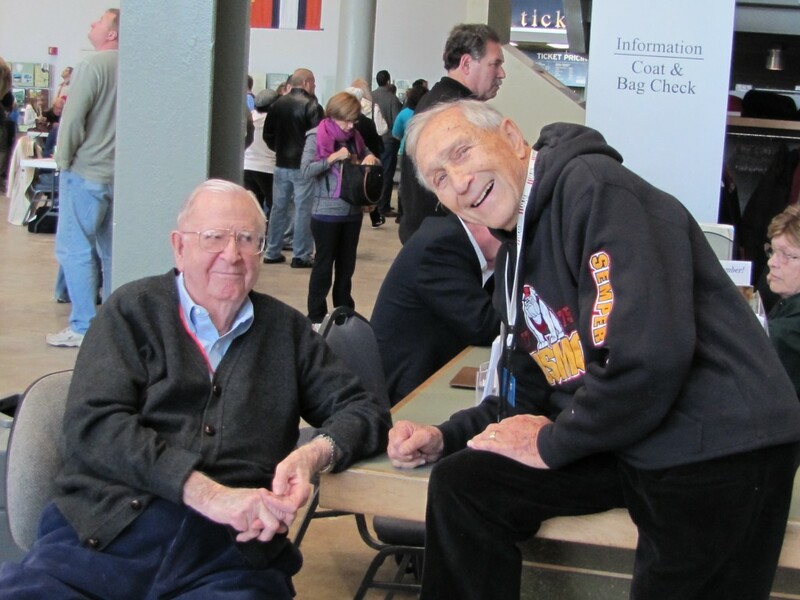 There will be a public memorial service for Tom Blakey on Monday, January 19 at 10 am at The National WWII Museum in the US Freedom Pavilion: The Boeing Center. Thomas Blakey, a D-Day hero and longtime volunteer at the National World War II Museum, dies at 94, by John Pope, NOLA.com | The Times Picayune, January 15, 2015. WWII veteran Thomas Blakey leaves behind the little man by Kathleen Flynn, NOLA.com | The Times Picayune, November 11, 2014. Tom Blakey on the CBS’s Tom Brokaw for the 70th Anniversary of D-Day, Today Show, June 6, 2014. Tom Blakey: A Living Artifact of WWII, CBS Sunday Morning on May 26, 2013. 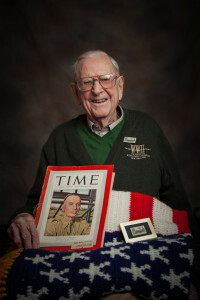 National WWII Museum Volunteer Profile: Tom Blakey, 2012. 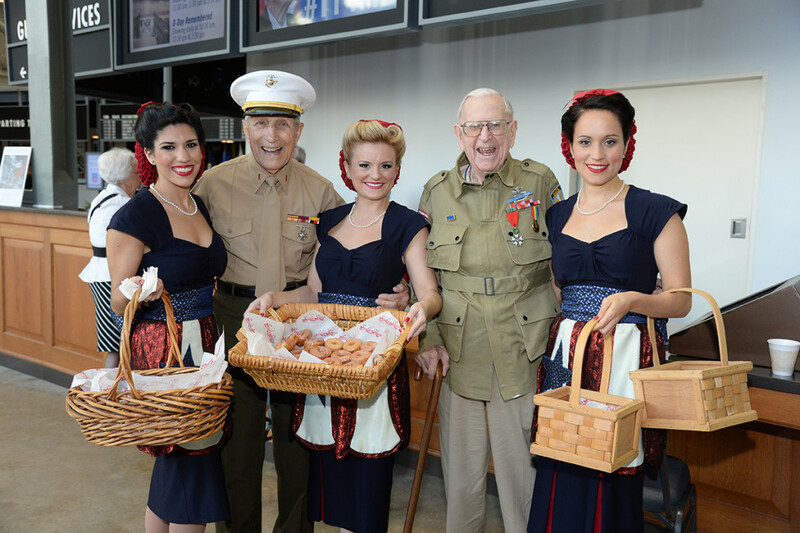 Blakey with fellow WWII veteran Bert Stolier and the Museum's Victory Belles on Veterans Day in 2013. 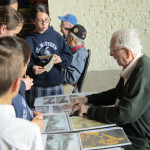 Blakey volunteered at the Museum multiple times throughout the week sharing his WWII story with our visitors. 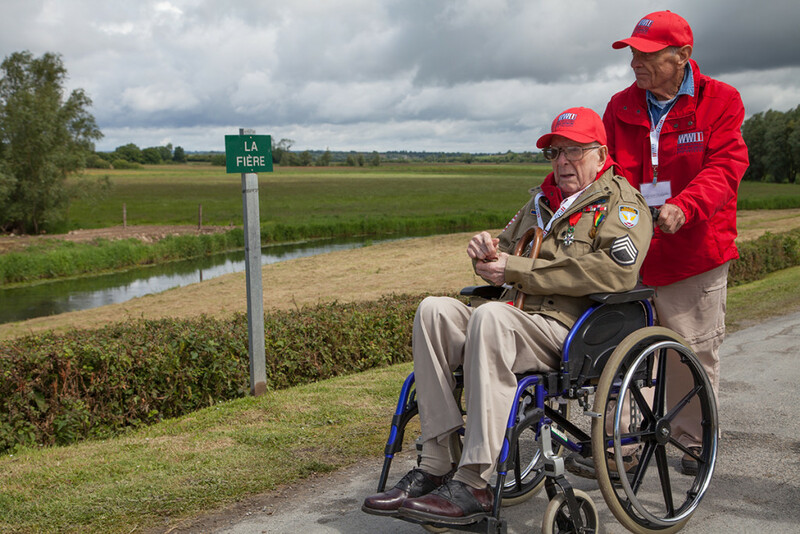 Blakey being greated with great gratitude during his trip back to Normandy in June 2014. 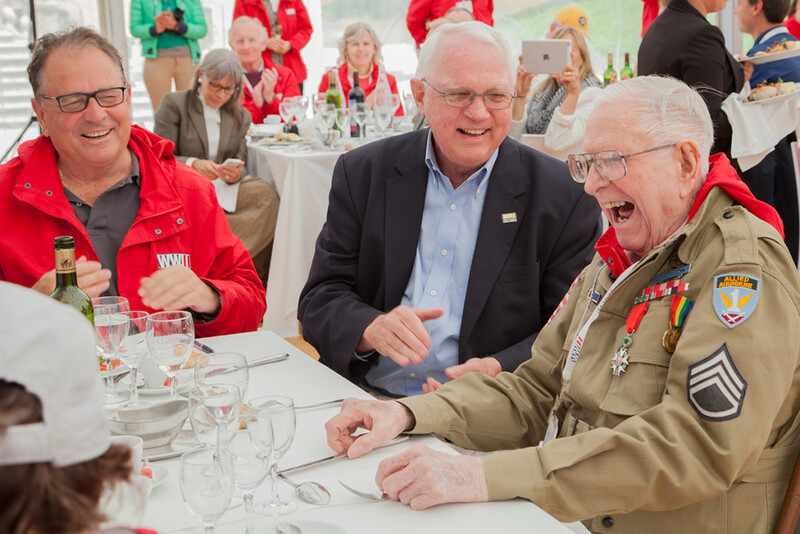 Blakey with Museum President and CEO Gordon H. “Nick” Mueller, and historian Donald Miller in Normandy during the 70th Anniversary of D-Day commemorations in June 2014. Blakey touring Normandy in June 2014. 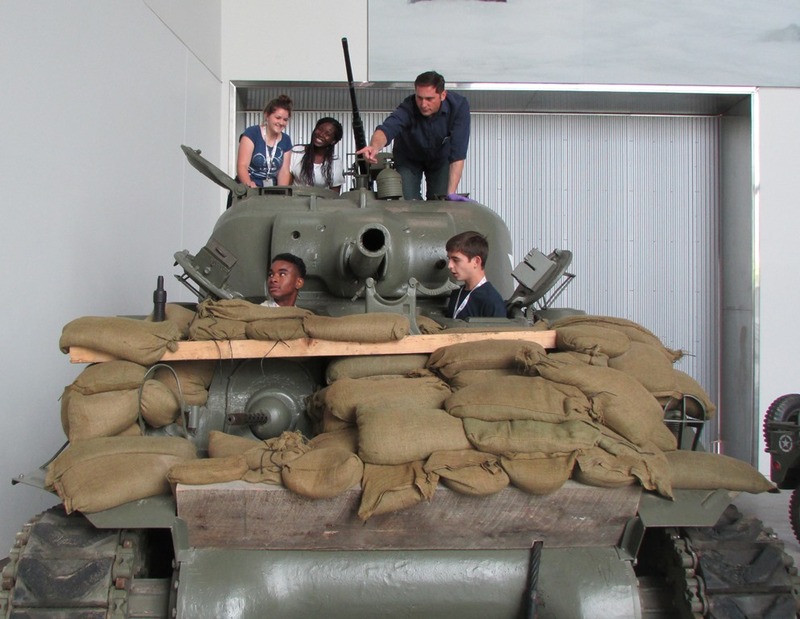 This June, the Museum will be taking four D-Day veterans back to the shores of Normandy, France to partake in the 70th Anniversary of D-Day commemorations. 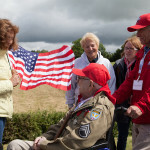 During their time in Normandy, they will revisit the battlefields where they were stationed and will be honored with other veterans at the 70th Anniversary French and American Ceremony at the Normandy American Cemetery. 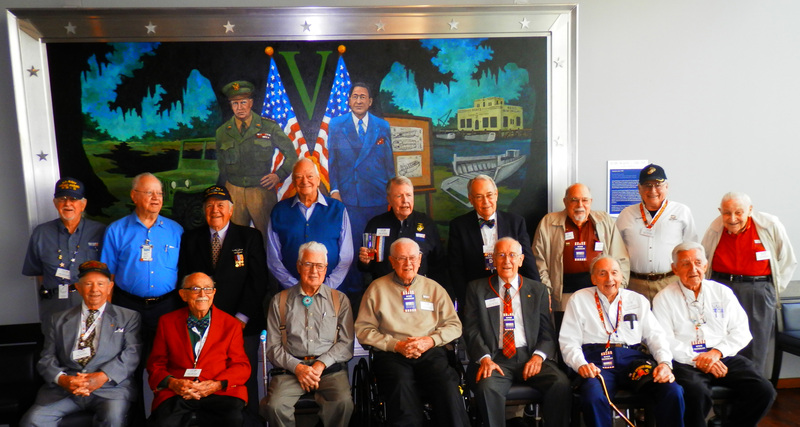 These veterans will also share their war stories with those aboard the Museum’s 70th Anniversary of D-Day Cruise in a Veterans Panel monitored by NBC’s Tom Brokaw. Meet D-Day veteran Tom Blakey, of the 505th Reg., 82nd Airborne Div., who will be traveling back to Normandy with the Museum this June. After the Normandy Campaign, Blakey participated in Operation Market Garden in Holland and fought in the Battle of the Bulge. During the Bulge he was pulled off the front lines to serve as an aide to Lt. Gen. Lewis Brerton of the 1st Allied Airborne Army, where he was stationed in Paris for the remainder of the war. 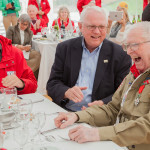 Tom has been a loyal volunteer of The National WWII Museum for 14 years and recently he received the rank of Chevalier in the French Legion of Honor, France’s highest award to any person, civilian or military. 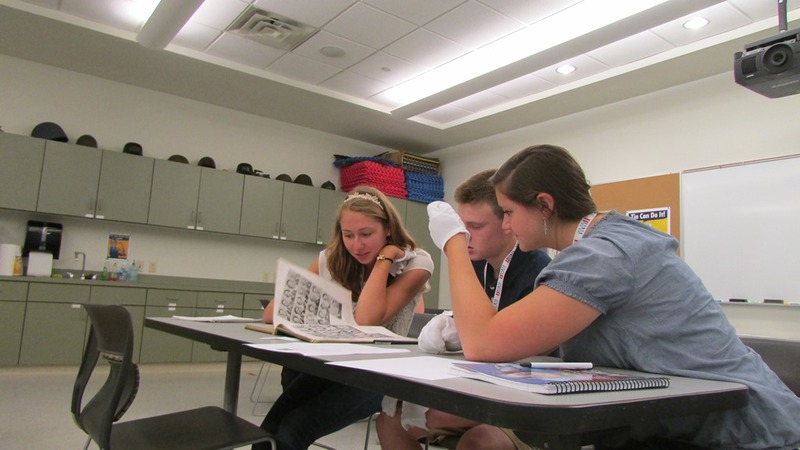 Students in the 2013 Normandy Academy spent two days studying and touring at The National WWII Museum. 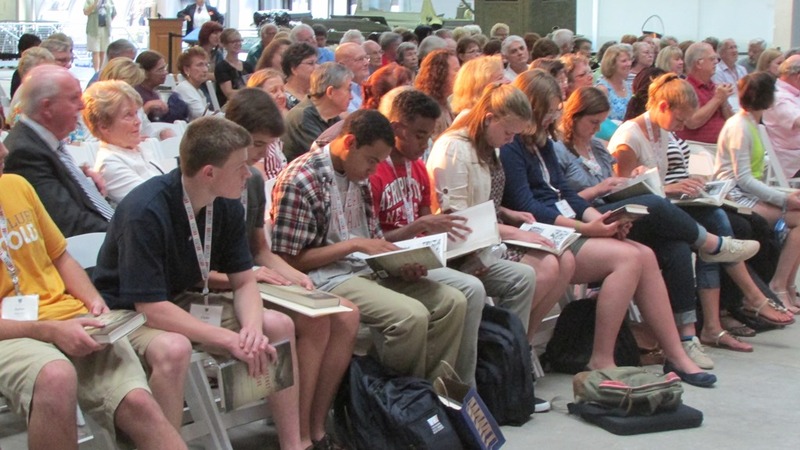 Each of the twelve students has chosen a fallen soldier from their home state to research and honor with a eulogy in the Normandy American Cemetery. 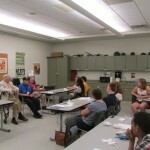 Before departing for France, the students studied the archival material from the collection of The National WWII Museum, went “Behind the Lines” of the Museum, met author Cate Lineberry, and talked with two World War II veterans, including Tom Blakey, a veteran of the 505th Parachute Infantry Regiment. One thing that really struck me was hearing Tom talk briefly about coming upon a concentration camp in Germany towards the end of the war, and knowing immediately that that was why he was, and the army was over there, after having asked that the entire war. I had read similar statements many times before, but hearing it from the mouth of someone who was actually there made it very real to me. He also talked about how his volunteer work with the museum helped him to deal with symptoms of post-traumatic stress and the bitterness he felt after the war. His testimony to the power of the volunteering in working through his issues was very powerful to hear. 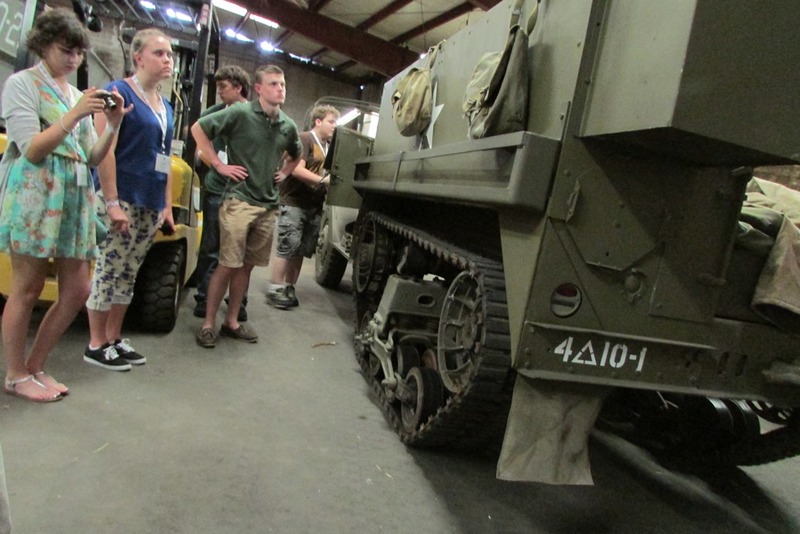 While being led on a special behind the scenes tour of the Museum, the students went inside a Sherman tank to get a feel for the cramped conditions inside. This was a unanimous highlight for all the students. Another inspirational moment came when author Cate Lineberry talked to the students after her lecture about her recent book, The Secret Rescue: An Untold Story of American Nurses and Medics Behind Nazi Lines. 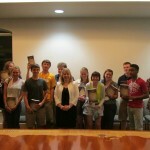 Each student received an autographed copy of the book. 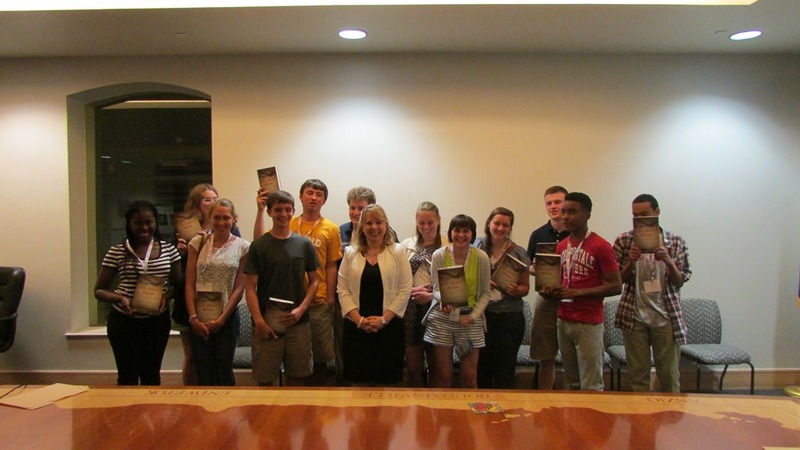 Normandy Academy students pose with author Cate Lineberry after they each received a copy of her book, The Secret Rescue: An Untold Story of American Nurses and Medics Behind Nazi Lines. Clyde Hurst is used as an example of a fresh-faced replacement paratrooper in WWII. The Normandy Academy students attended a presentation by author Cate Lineberry about her book, The Secret Rescue: An Untold Story of American Nurses and Medics Behind Nazi Lines. 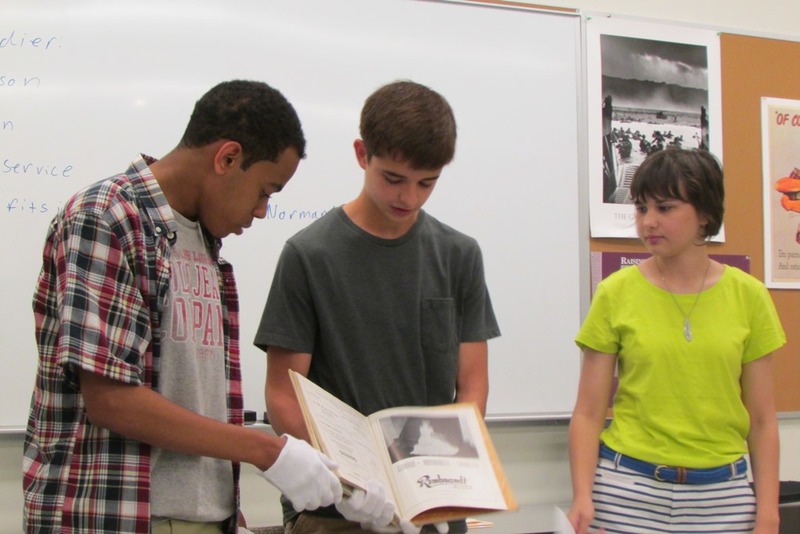 London Westley, Andrew Beam, and Rebekah Bass find evidence of a segregated prom from a 1944 yearbook from Topeka, Kansas. 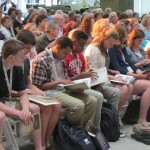 Rebecca Andruzzi, Clyde Hurst, and Sara Allen examine the lives of teenagers during WWII with a 1944 yearbook from Chicago. 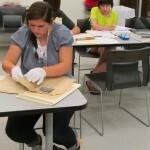 Sara Allen examines documents related to the 82nd Airborne Division during World War II. 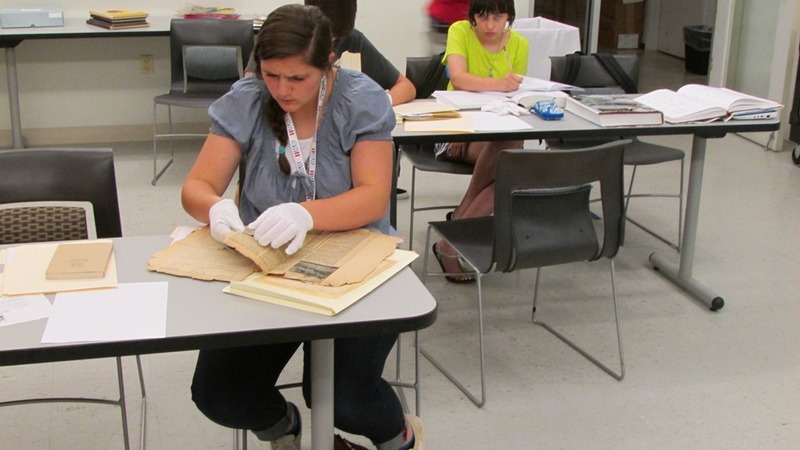 Susanna Sigler examines documents relating to the 83rd Infantry Division. 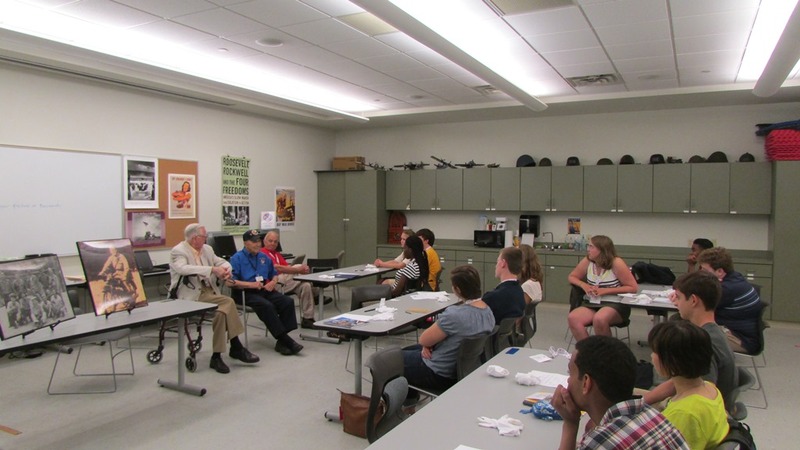 WWII veterans Bert Stolier and Tom Blakey share their stories with the 2013 Normandy Academy. 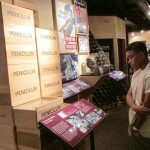 Carey Burton of Chicago learns the importance of Penicillin during WWII. 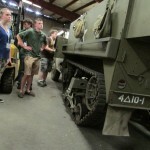 Curator Larry Decuers instructs the Normandy Academy on the roles of a Sherman Tank crew. 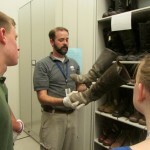 Curator Eric Rivet tells the story behind this pair of German boots worn by Franz Goeckel on D-Day. After arriving in Paris, the Normandy Academy students will head for Caen, France and then Normandy sites such as Pegasus Bridge, Omaha Beach, and Pointe du Hoc. 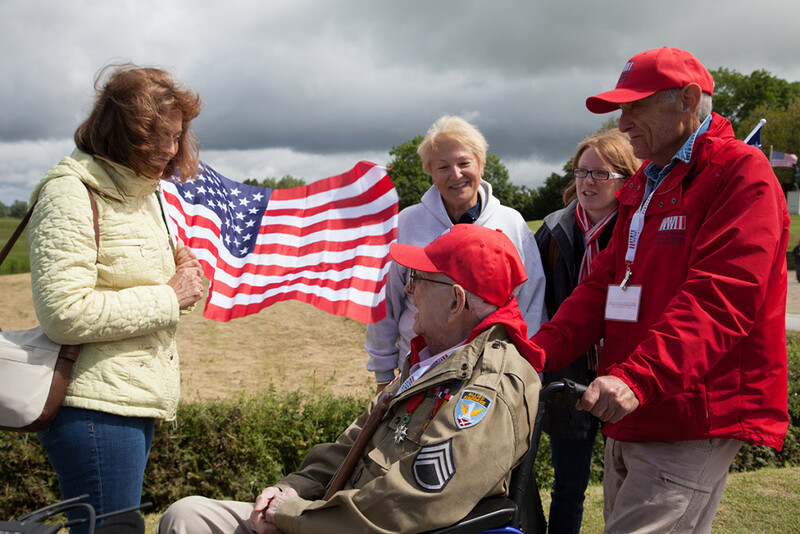 Their time in Normandy will culminate with the eulogies in the Normandy American Cemetery on Thursday, July 18. Grace O’Connor Hogan was 15 years old when her only brother Joe left New Orleans to serve in the Marine Corps. She can still recall being anxious as she told Joe goodbye before he shipped out to the Pacific in 1944. Despite reassurances from her father that everything was going to be alright, Grace was still afraid something was going to happen to her big brother. Thankfully, Joe did come back to his family after his service, living in New Orleans until his death in 2000. Grace is very proud of her brother and of all United States Marines. 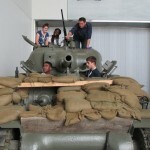 She shows it by volunteering at the Museum, which she has done almost since the day it opened. Last week, Grace was honored as the being the 2nd volunteer in Museum history to contribute 10,000 hours of service to the Museum (the equivalent of 5 years of full-time employment). 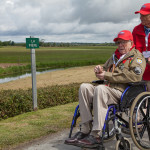 The first volunteer to reach this significant mark was WWII vet, Tom Blakey. 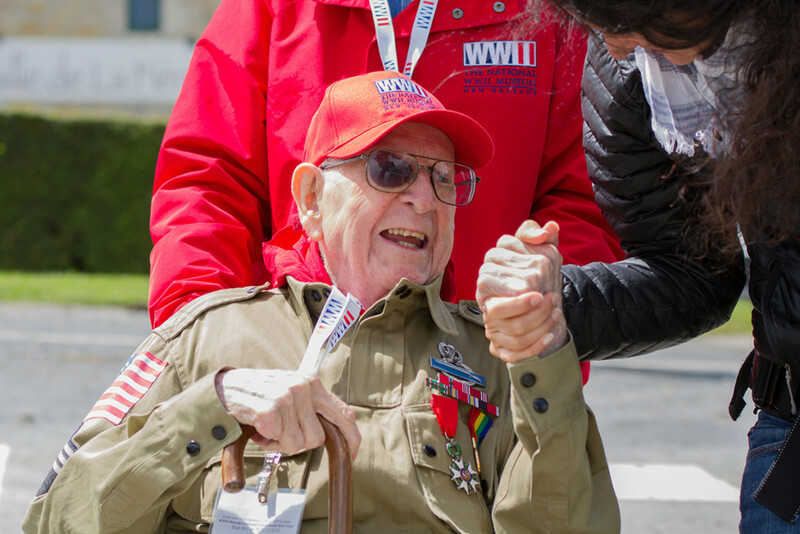 “I am so glad to be a part of a place that will make sure that Joe and all the boys who served during World War II will never be forgotten,” Grace said. 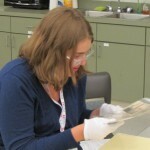 Grace helps the curatorial staff organize and catalog historical documents and artifacts in the archives and collections. 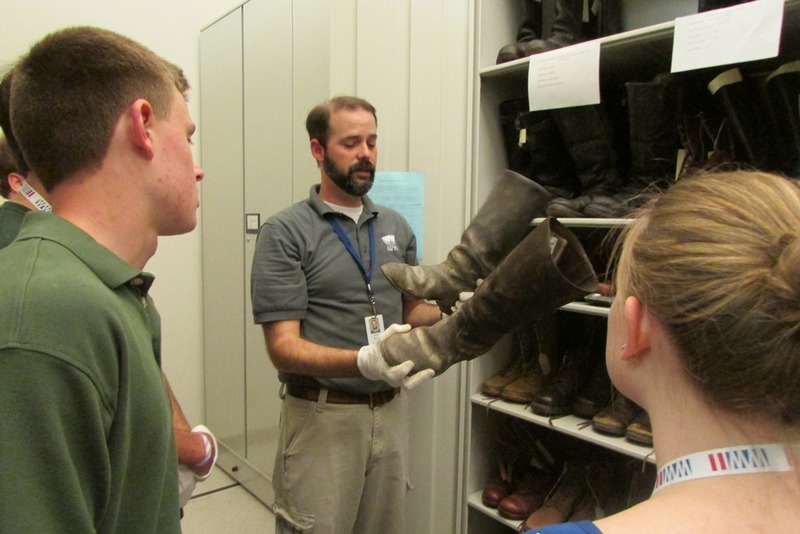 Some of those artifacts are very dear to her — such as Joe’s combat boots, which are displayed in the Museum’s D-Days of the Pacific exhibit. 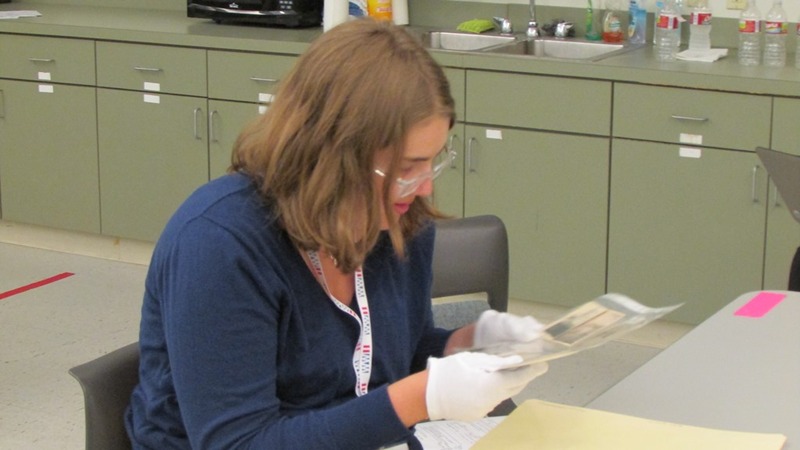 Prior to volunteering at the Museum, she had a long career as a medical technician and was the youngest person to ever graduate from Loyola University at 17 years old. 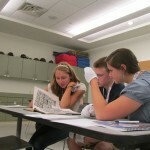 Find out how you can volunteer at The National WWII Museum. 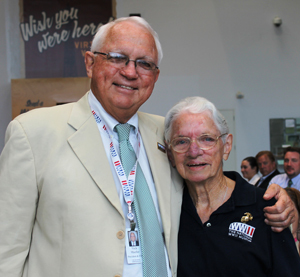 Of the more than 3 million visitors who have crossed the threshold of The National WWII Museum since June 6, 2000, a large number of them have had the pleasure of meeting affable volunteer, Thomas Blakey. 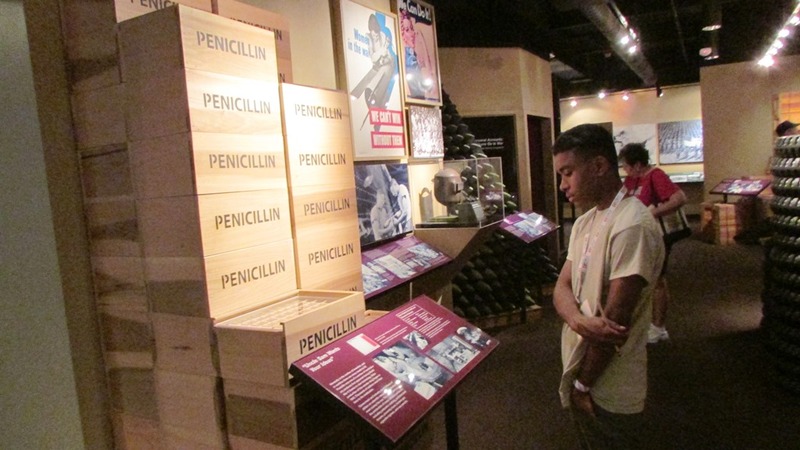 The Museum regularly receives thank you notes from students, groups and visitors who have had the opportunity to visit with Tom during their time at the Museum, usually letting us know it was the highlight of their day. 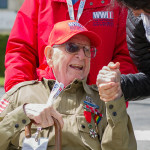 Blakey, whose volunteer service predates the opening of the Museum, is a combat veteran paratrooper with the U.S. Army Double A, “All American, 82ndAirborne.” He jumped on the morning of June 6, 1944 behind Nazi lines at Normandy, France. 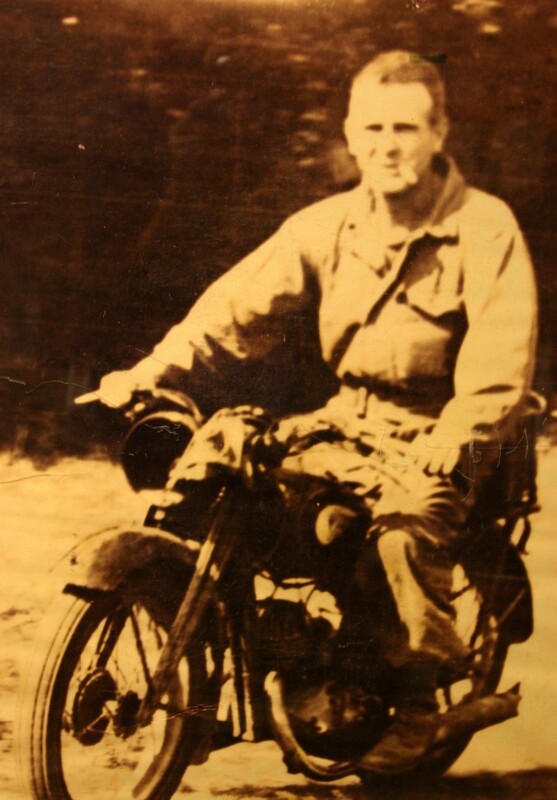 His combat service was from France to Holland, including action in the surprise German offensive in the Ardennes Forest, the Battle of the Bulge. Mr. Blakey is also an active member of the Museum’s Speakers Bureau, traveling across the region to speak with schools, senior centers, community centers and other groups on his experiences. In 2010, he was recognized as the first Museum volunteer to pass the 10,000 hours mark.